The fabulous-ness of those shoes know no bounds. What a knockout pair of shoes! your shoe collection rocks! 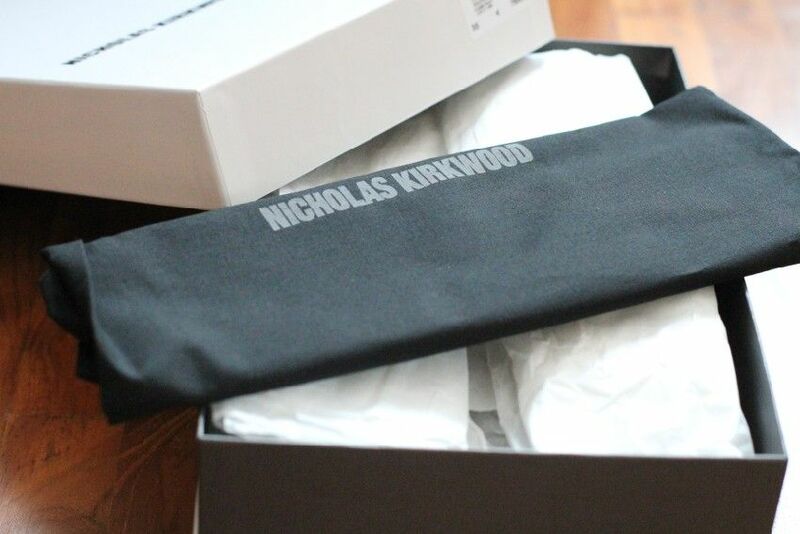 singapore have Nicholas Kirkwood store? gorgeous, simply gorgeous! can't wait to see what you will wear them with! come and participate on my giveaway if you like! Oh my God, these are amazing! You lucky girl! Hey, sorry for my late respond, mmm abt ur hair, i like how you arrange it. simple but just perfect. While i always get a problem at hair-do. LOL. Abt your post, I wanna say, that how can their put pearls on and let you to stomp it. LOL..
Those shoes are FANTASTIC !!! Great blog. those shoes are heaven! where can i get my hands on a pair?! There's not a lot to say, except for: PERFECT! They are absolutely stunning! Love them! Hi,I'm Colin, a fellow blogger who also happens to be a Singaporean. I'm currently studying in Harvard right now and I thought it'll be cool to link up. I stumbled upon your blog from a link else where and I really like it. I and another American girl , Emily, run a style blog: www.booksandliquor.com. It's like a local version of the Sartorialist or Jak and Jill. Do check it out! I'd love to take your picture when I'm back in Singapore!